An area property owner was disappointed on Tuesday when the Lockhart City Council denied a request to have her property removed from the city’s extraterritorial jurisdiction (ETJ).
. Despite having released tracts in2004 in the northernmost portion at the request of the property owners, the City has opted to deny Theresa Hobby the opportunity to remove her section of property. While Councilmember Paul Gomez claimed at one point during the discussion that it does not behoove the city in any way to control the subdivision, the Council ultimately decided that the extraterritorial jurisdiction is valuable and permits the city to regulate signage and subdivisions to some extent. Ed Terry of ETR Developing Consulting, who was representing Hobby, admitted that the urban-type subdivision regulations were the main cause for the request, noting that Hobby has plans for property development, and regulations inhibit that development of her property. Banks moved that to deny the request, stating that it was “not in Lockhart’s best interest to help the property owners of maximizing their own profits.” The motion passed 6-1 with Councilmember Juan Mendoza opposed. According to City Planner Dan Gibson, there were three options from which the City Council could have chosen. Had they allowed Hobby to remove her property, the remaining northern ETJ would have stayed intact through a 15-foot wide strip connecting the tracts south and east of Hobby’s property. Because Lockhart’s main interest in sign and subdivision regulation is property abutting the highway, another option would have been to release Hobby’s entire property plus all other land in the ETJ north of the tract, which does not abut SH130. There was still some speculation about involving a public hearing or input from Planning and Zoning, especially when Gibson mentioned that some of the property owners may not even know that they are part of the ETJ. This news concerned Councilmember Benny Hilburn especially, who expressed strong feelings that property owners should know what is happening around them. In other news, Caldwell County has agreed to provide the use of the old Wal-mart, which was purchased by the county last year, for firefighter training prior to the start of the proposed renovation. The Lockhart Fire Department will be the host department and include the training of surrounding entities such as San Marcos, and also Caldwell County volunteer fire departments. Fire Chief Jerry Doyle told the council it was a great opportunity for cross-training and specialized training, and would be a one-time opportunity to train as many people as they can in 30 days. Caldwell County has also approached Lockhart Fire Department with a proposed interlocal agreement by which the LFD would provide review of mass gathering permit applications and investigate preparations for compliance with fire safety and The agreement was sought out because the code requires that the inspections are done by a fire county marshal or licensed inspector, which Caldwell County does not currently have. The County will also be ultimately responsible for enforcement of the code of ordinance. The Capital Area Planning Council of Governments (CAPCOG) will be leasing an area at 214 Bufkin Ln. to monitor air quality for use by the Clean Air Task Force. The space will be provided until Dec. 31, 2013, and will be at no cost to the city. Council is looking forward to the benefit that the air quality monitoring unit and meteorological tower will allow the city, noting that winds drifting over from the south and from Houston were a major concern. As a result of the savings from employee health insurance and the EMS transition to Seton, funds in the amount of $328,195 are being redistributed for projects that are usually “put on the back burner” because the City lacks the money to see them through. Some of the projects include a slab for fire truck building grant match, improvements at Lions Park, additional refurbishments around City Hall, roof repairs at the public safety building and the old hospital, and a tax rate buy down account to help keep the tax rate from increasing 5.5 cents. Patricia Hanks, representative of the Volunteer Income Tax Assistance Program (VITA), presented a Certificate of Appreciation to the City Council for their partnership. Hanks announced that the total refunds allowed for a return of about $71,000 back to the community. After Council requested more information about the “wayfinding system,” city staff prepared a presentation outlining the complete system, definition, planning process, and TxDOT guidelines for the system. Wayfinding consists of community branding and signage to direct motorists, cyclists and pedestrians to particular routes and points of interest. The City will explore the necessity of any professional consulting needed, and research what costs are involved for the project. Finally, the week of May 19-25, 2013 has been proclaimed as Emergency Medical Services week to honor the vital public services of the EMS team. 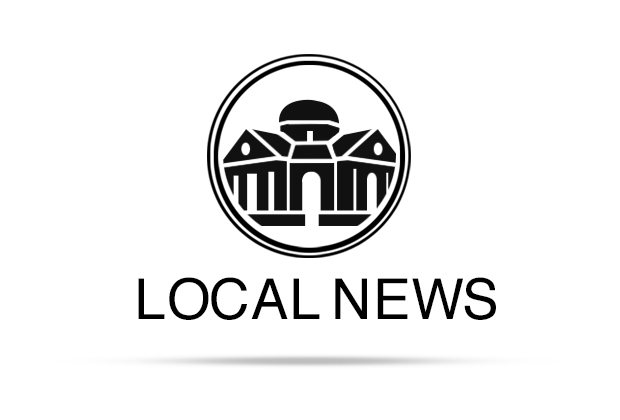 The Lockhart City Council meets on the first and third Tuesday of each month at 7:30 p.m. in the Glosserman Conference Room of Lockhart City Hall. The meetings are open to the public and are broadcast on Time Warner Digital Cable Channel 10.